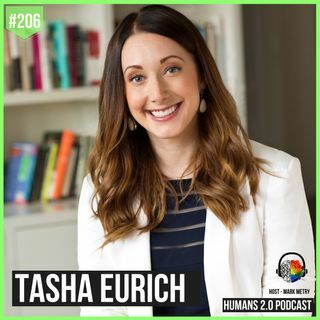 With a PhD in Industrial-Organizational Psychology, Tasha is the principal of The Eurich ... See More Group, a boutique executive development firm that helps companies—from start-ups to the Fortune 100—succeed by improving the effectiveness of their leaders and teams. Having worked with clients like T-Mobile, KPMG, Walmart, Vail Resorts, and HCA Healthcare, her primary areas of expertise are executive coaching, leadership development programs, and executive team development. Tasha’s work has also appeared in Harvard Business Review, Fortune, Forbes, The New York Times, Fast Company, Entrepreneur, and New York Magazine, as well as peer-reviewed journals. As a passionate, often humorous and always enlightening speaker, Tasha has traveled to every continent but Antarctica to share her work on self-awareness, and her 2014 and 2017 TEDxMileHigh talks have been viewed more than two million times. In her spare time, Tasha enjoys traveling, cycling and is an unapologetic musical theater nerd. She lives in her hometown of Denver, Colorado, with her husband and their rambunctious dogs.